The previous post described current understanding of the complexities of barriers that guard the brain. What is becoming clear is that all of the different compartments, and barriers, have differing characteristics—blood brain barrier, choroid cells, blood-CSF barrier, dura, sub arachnoid, pia, blood vessels, pericytes, astrocyte end feet, lymphatics. These different compartments each have differing relationships with immune cells. They also are variable in keeping microbes out. Current research is describing more about how dangerous microbes are able to fool these barriers and enter the brain. This post is an update as to how different types of microbes pass through the blood brain barrier (BBB) with different mechanisms. They must utilize the unique characteristics of the compartments and lining cells. Breaching the BBB they produce very dangerous brain infections. The BBB is perhaps the most difficult barrier to breach in the body. There are only a small number of bacteria that are able to do this and cause meningitis. In particular, several prominent bacteria use different methods to travel from blood into the fluid and tissue barriers called the meninges. 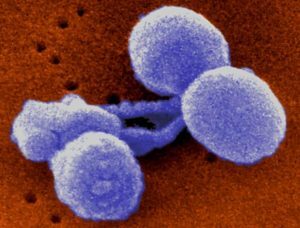 These include Neisseria meningitides (called meinigococcus), Streptococcus pneumoniae (called pneumococcus), Hoemophiolus influenza causing disease in adults and children; and Strep group B, and E. coli causing infection at birth. 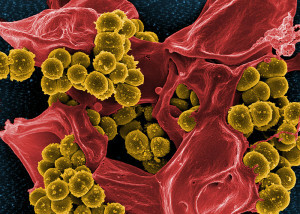 A new bacteria from pigs has just been found in humans that can do it as well—Strep sui. Each has unique clever mechanisms to evade the barriers through interactions with the barriers. 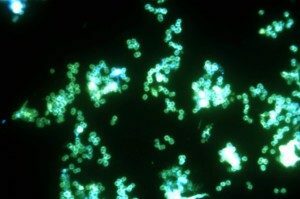 A totally different group of infections derives from bacteria that live inside of immune cells and travel with the immune cells as they enter the brain tissue—tuberculosis, and listeria. Thus far, it is very difficult to get medications to go across the barriers which makes treatment more difficult and understanding these interactions might help develop new treatments. The previous post described in detail the various compartments and barriers. Here they will only be mentioned in relation to these microbes. Three cellular barriers of the brain and spinal cord make membranes of the dura mater, arachnoid mater, and pia mater. The dura is thick and has lymph vessels. Multiple layers of cells cover the arachnoid with very tight junctions between cells. 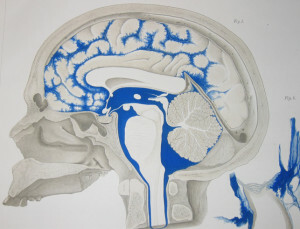 A large fluid channel of CSF exists between arachnoid and pia called the sub arachnoid space SAS. Blood vessels in the dura are separated from the CSF fluid by arachnoid mater, which has small villi through dura into venous sinuses. Pia separates the brain tissue from all of this. Choroid cells along the ventricles produce CSF which goes into SAS. Interstitial fluid (ISF) between brain cells flow along veins mixes with CSF. Around arteries that go into CSF brain tissues mix with ISF. Most CSF goes back into blood in the villi venous sinuses. BBB regulates molecules that travel through blood to the brain tissue. The lining endothelial blood vessel cells are unique from all other blood vessels, which are as much as 8 times tighter than other vessels. They have no holes (fenestration) and very few transport sacs. They have unique receptors and transporter molecules that determine travel across the barrier. These cells are all involved in detailed conversations described previously as the neuro vascular unit or NVU. NVU includes pericytes (see post) and astrocytes that provide a layer of end feet as another barrier into the brain. All of these cells—endothelial borders of blood vessels, pericytes, and astrocytes are in elaborate communication related to transport. 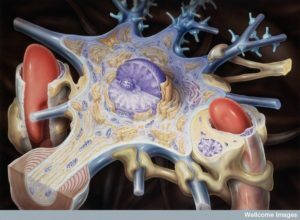 The basement membranes of pericytes and astrocytes (called glia limitans) are different than all others. The fluid space between the astrocyte and blood vessel is called Virchow-Robin space where ISF behaves as one of two lymphatic drainages from the brain. 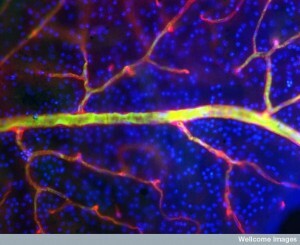 This is called the “glymphatic” system (for glia and lymphatic) and is described in other posts. 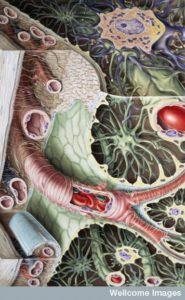 In capillaries there are no spaces and the fluid travel is different from larger vessels. This glymphatic flow is separated from CSF by pia cells. It is the NVU that mainly keeps microbes out of the brain. The choroid plexus cells (CPs) are one barrier. Very tiny vessels in pia are another. 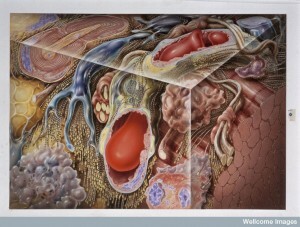 The third are the layers of cells in the arachnoid. 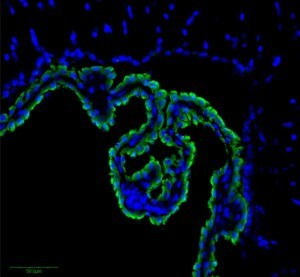 CPs have many villi connected to many blood vessels at the edge of the ventricles where CSF is produced from the blood fluid—separating ventricle fluid and blood vessels. These cells that are not at the edge have no tight junctures and allow blood cells and blood liquid to go into the choroid plexus tissue. But, they are tight along the border of the CSF. These cells resist transit. There are tight junctions on the other layers of pia and arachnoid. It is possible that microbes attack multiple places—CPs; small vessels in the pia, arachnoid, and brain tissues; and in dura venous sinuses at the arachnoid villi. Current evidence supports entry through CPs and capillaries. Another possible route is directly through olfactory neurons with travel along the axon from the nose. 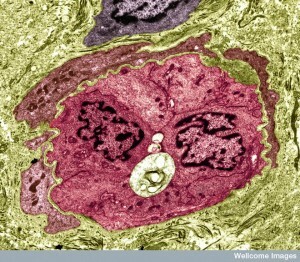 The small capillaries in the choroid tissue are not tight and has fenestrations (holes for molecules and cells). 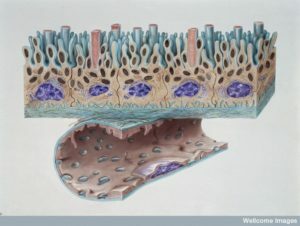 Microbes would then have to communicate with and travel across the tight layer of cells at the border of the CSF. H. influenza has the capacity to latch onto the border cells. In pigs it has been seen that S. Suis enters at the CPs. There is a possibility of microbes crossing at capillaries in the pia and arachnoid. This would mean they would drain into the glymphatic flow near the blood vessels. The NVU would keep them from the tissues. Recent research shows that N. meningitidis does not use immune cells to enter but rather interacts directly with barrier cells. Groups of these bacteria were attached to the lining cells of capillaries near CP cells, and also in other blood vessels in the meninges. None of these were attached to the border cells of the CP. They appeared to enter at the attachment to the capillaries and then drain along the glymphatic flow. Also, S. pneumonia and E. coli attached to the blood vessels in SAS as well, and enters CSF later. Another report had E. coli entering also at the CP, meaning possibly two sources of entry. All of this data is still uncertain as to the definitive entry point. These particular bacteria routinely live at mucous membranes and need to enter the blood first. Neisseria has more affinity with the meninges region than S. pneumonia. But, there is one capacity that all of the bacteria that enter the CSF share. They often can live and thrive in the blood stream. Clinically, bacteria living in the blood stream is called bacteremia. This includes an ability to get along with and communicate with blood vessel cells. It appears that the level of bacteria in the blood and the length of time they are in the blood have to be large to enable entry into the CSF. The likelihood decreases with age. Several of the bacteria that cause meningitis in the newborn are also present in later disease but don’t then enter the CSF. This could be because of the developing innate immune system. Once out of the blood, three factors allow bacteria to live in the fluid between brain cells: they can fight white blood cells and complement; and they can capture enough iron that they need to grow. S. suis is able to trick the outermost border cells of the choroid plexus. It appears that they don’t breach the tight junctions or basement membrane but rather enter into the cell itself and transit through both being picked up by sacs and then exiting through sacs. 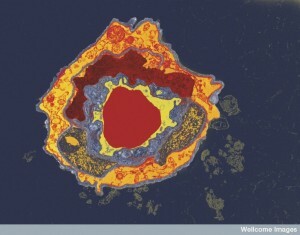 This is unusual because these are bacteria that don’t usually live inside of cells. This type of behavior is usually is based on cellular conversations. When bacteria enter through capillaries at the blood brain barriers, they first attach to the lining cells (endothelium). During blood flow the attachment has to be particularly great. They then can either enter the cells as S. suis does, or go through the tight junctures between cells. There has been no evidence of bacteria coming out of cells in sacs. What is known is that elaborate communication occurs between the cells. This signaling can loosen the side tight junctures between the cells. The signaling also allows transit through the basement membrane. Neisseria lives in the nose and throat. It can enter into the blood from there and become a serious blood infection (the more serious form of bacteremia is called sepsis). This severe form of blood infection can cause clotting of vessels and signals that loosen the junctures allowing bacteria to exit from the blood vessels into tissues. This can include the BBB and entry into the meninges. Neisseria can have special properties that make it more likely to cause meningitis. One is the creation of a type of phage virus. Neisseria manufactures vital molecules that protect it from the immune cells and complement (used to tag and kill microbes). They have multiple protections including a special capsule, unique proteins, and a system for gathering iron. Neisseria attaches to the capillaries in the sub arachnoid space, in the brain tissues, and at the choroid plexus. They produce arms called a pili (a larger type of cilia) that attaches very strongly to the capillary cells. Pili are long filaments made of multiple different proteins that goes through a hole in their capsule. Pili latch onto a receptor on the blood vessel lining cell in multiple places at once. The multiple attachments allow the bacteria to stabilize since there is not great blood flow in the capillary. Neisseria also have multiple other entirely different families of attachment molecules that interact with other lining cell receptors. It is actually remarkable that these bacteria have perhaps 6 to a dozen different molecules that help with attachment. Once there is attachment to the lining cells then signaling takes over. This signaling alters the scaffolding molecules in the cell. It creates movement of actin forming many cellular protrusions producing a cell surface area that is much greater. In fact, the cell surrounds bacteria making it very difficult for them to be moved from their place of attachment. The signaling is done through the pili to receptors on the lining cell. When signaling has occurred, the bacteria alters its conversation to stop any interactions between its multiple pili attachments. This allows the bacteria to form other attachments with other sites at different regions of the lining cells and enlarging the colony that is growing. This type of metastatic activity allows the colony to spread to many other blood vessels in the brain. Neisseria appears to alter the junctions between cells at the blood brain barrier. The signals from the attachment alter the junctions allowing some loosening. Many cytokine signals are produced that allow the endothelial cell to actually help the bacteria attach and survive. Some of the molecules that hold the junctures together are altered and sent instead to the site of the bacterial colonies. Another mechanism produces enzymes that cut some of the vital molecules in the juncture. The brain is better able to resist clotting damage to the vessels than in other parts of the body. Also, confusing the research is the fact that in laboratory settings, but not in live observations, some of the bacteria are taken into the cells, but are not clearly extruded on the other side of the cell, making the relevance of this unclear to real life situations. S. pneumonia lives in the nose and throat also and can also travel into the blood other organs, and the meninges after birth. 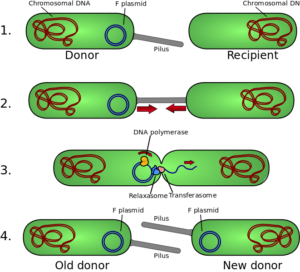 Bacteria appear to cross the lining cells by entering into the cell in a sac (endocytosis), being transported to the other side and released in a sac (exocytosis). This type of transport usually involves conversations with the cell. Pneumoniae attaches at the lining cell receptors, signals with the cell, that triggers the transport. One receptor has been identified, which doesn’t bind directly to the microbe. One has been found on the basement membrane for attachment. Several of these receptors interact with each on the surface of the lining cell. The first receptor occurs with inflammation and then affects other factors that help the pneumococcus to bind to the cell. 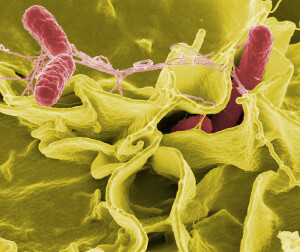 It is not clear yet which signals trigger the transport of the bacteria into and out of the cell. Two proteins have been found that help this process and are necessary for bacteria attachment and transport. Only particular sub types of pneumococcus have the ability to enter the meninges. These have a particular factor and pilus. They attach more strongly to the blood vessel lining cell. This would explain why there has been a low measurement of adhesion and the large attached colonies of Neisseria have not been seen. It explains that infection occurs through a small subset. 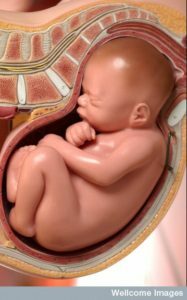 At birth, two particular bacteria can attack the meninges. These cause infections in adults, but not in the meninges. The immature immune system allows large amount of bacteria in the blood. They use different strategies. Group B Strep (GBS) has many specific molecules that interact with the blood vessels. They have many different specific molecules and pili. At least five different factors have been found, and three different pili. 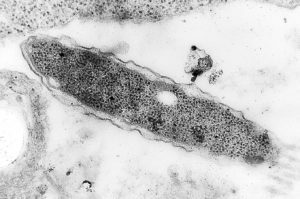 The bacteria have been found in sacs inside the lining cells (vacuoles). But, molecules that alter the junctions have been found as well. Recent research shows that these bacteria have conversations directly with the basement membrane. Only a very small sub set of E. coli can cause meningitis in the newborn. They must have a particular capsule. These have been seen in a vacuole inside of the cell as well. But, like the others, they appear to have signals about altering the junctions. Special molecules allow attachment to the cell, and the long flagella arm (a large cilium) helps also. Special toxins allow attack of the cell and these interact with many cell receptors and pathways. These pathways increased the attachments to the cell. They alter the structure of the membrane producing microvilli that help bacteria enter the cell. The vacuole needs methods of avoiding destruction while in the cell and these are not known currently. With interactions and conversations, bacteria are able to manipulate the lining cells of the blood vessels and choroid lining cells. These conversations create mechanisms for the bacteria to attach to the cell, and then either open up the tight junctions or convince the cell to take in the bacteria and transport it in a vacuole sac to the other side to be released. This entry was posted in Blog, Neuronal Plasticity, Human Brain, Microbes and tagged Neisseria enters brain at capillaries of sub arachnoid space, Strep Pneumoniae enters brain by cell transport, Microbes enter different brain compartments. Bookmark the permalink.